April 21, 2011 April 24, 2011 cooksomethingrva! Start by soaking the bamboo skewers in warm water for at least 30 minutes, to prevent burning on the grill. 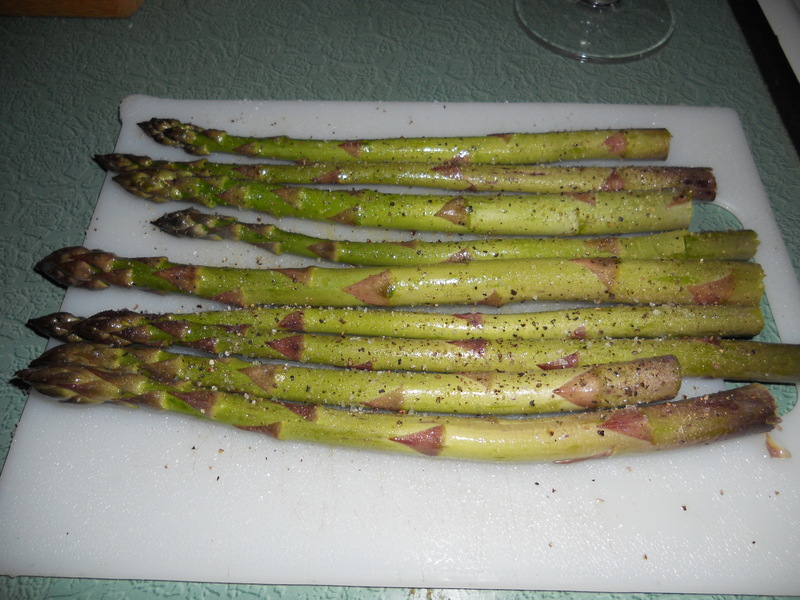 Take 8-10 spears, remove about an inch or so from the ends, brush with olive oil, salt and pepper to taste. Line up the spears, take your first skewer and push through each spear about 2 inches from top of the spear. Take your second skewer and repeat about 2 inches from the bottom. This will make turning the spears on the grill so much easier. I usually place the spears in the middle of the grill and turn every 3 to 4 minutes until cooked through and a little charring appears. Goal: Crispy on the outside, tender inside. Truly my favorite way to cook and eat asparagus!